I’ve always had a fondness for burlap, but over the past 6-8 months the fondness has turned into a little bit of an obsession. 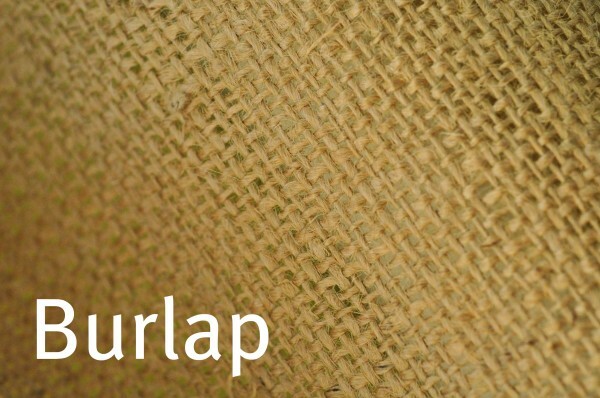 Burlap is such a great neutral, natural fabric! I love the texture that it adds (definitely not something I want to snuggle up with, but a nice texture to LOOK at), the earthy feel it gives and just the whole aesthetic of it. 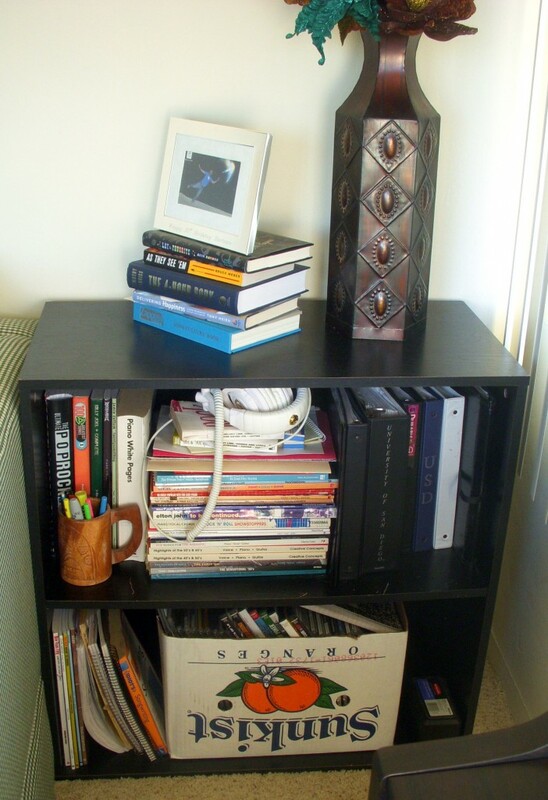 Anyways, back to the shelf… so I measured out the fabric, cut it to perfect size, ironed it so it was nice and smooth and then hammered it to the top of the shelf with decorative nails. I hammered one nail on one end and another nail on the other end. Then I got out my tape measure and put a nail in the center of the 2 and then the center of those (on both sides) and then the center of those (on both sides), until there were 9 nails total. The tape measure helped to make sure the nails were horizontally even as well! 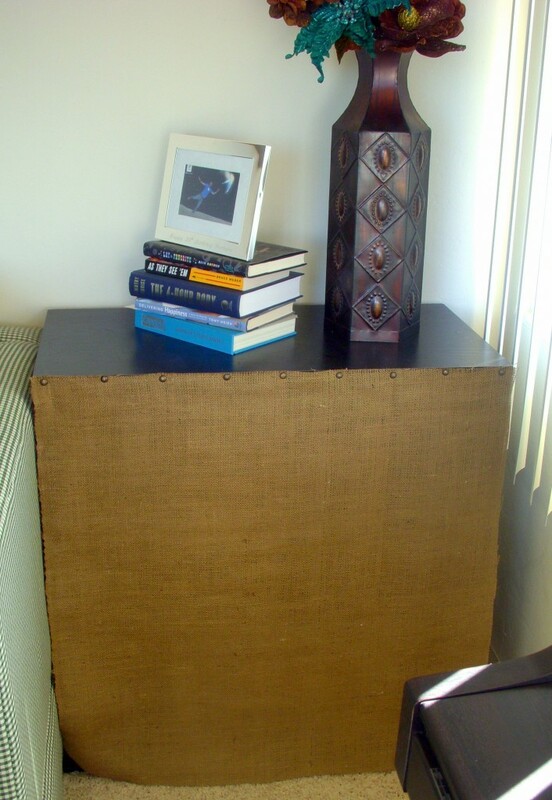 Hardly anyone will probably notice this, but just knowing it’s there makes me happy :) I was surprised by how much softer the burlap became after it was ironed. Still not snuggle-soft, but more soft than before I ironed it! 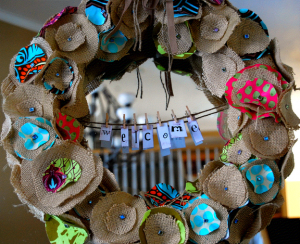 This wreath is so cuuuuute! Click on the pic for a tutorial if you want to make your own… this is definitely going on my project list for 2011. This pillow would look so great with pink and red hearts for Valentine’s Day or initials for year-round decor. 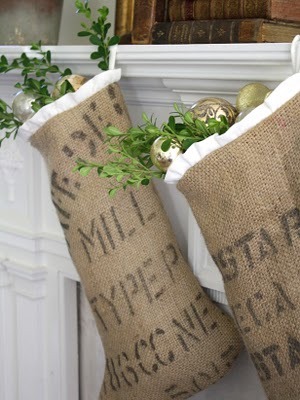 I know that Christmas just passed, but I like the look of these stockings and the stampings on them. I’m sure there’s a way to incorporate these into the kitchen… maybe I’m just thinking “kitchen” because of the herb stampings. The kitchen will smell like a yummy Italian kitchen with all those herbs! 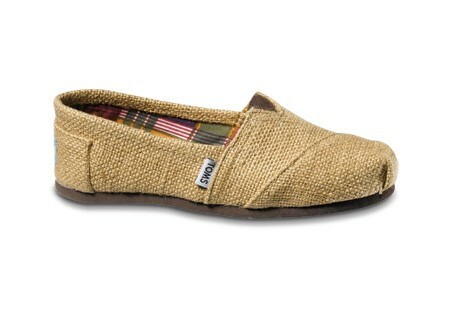 and just for fun, how cool are these burlap Tom’s!?!? 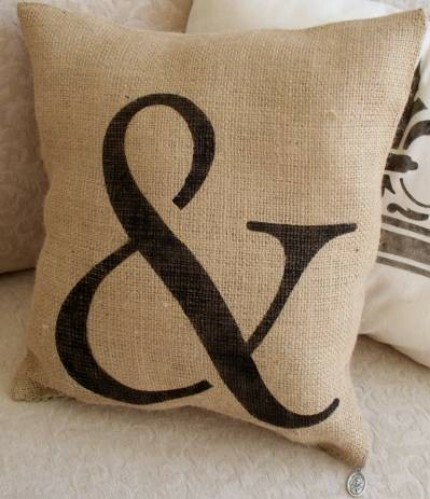 Happy Burlap decorating and DIY’ing!